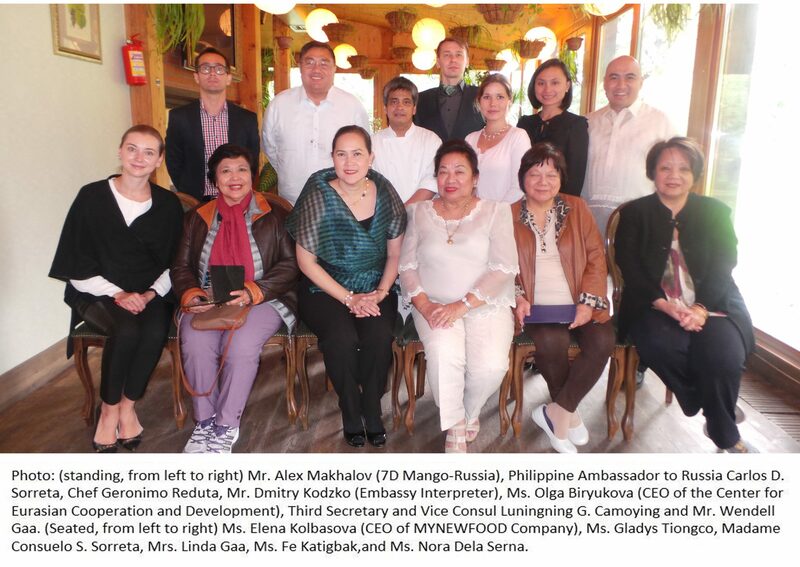 The Mama Sita Foundation recently travelled to Russia to formally turnover Mama Sita commemorative stamps and cookbooks to the Russian State Library in Moscow, while bringing Philippine Flavors to the Russian market as well. Russian State Library president, Dr. Victor Fedorov, Centre of Oriental Literature of the RSL head Marina Vladimirovna Melan’ina welcomed the guests led by Philippine Ambassador to the Russian Federation Mr. Carlos D. Sorreta, Mrs. Linda Gaa, wife of the late Philippine Ambassador to the United States of America, Ambassador Willy C. Gaa, the Philippine Embassy staff and representatives of the Mama Sita Foundation. 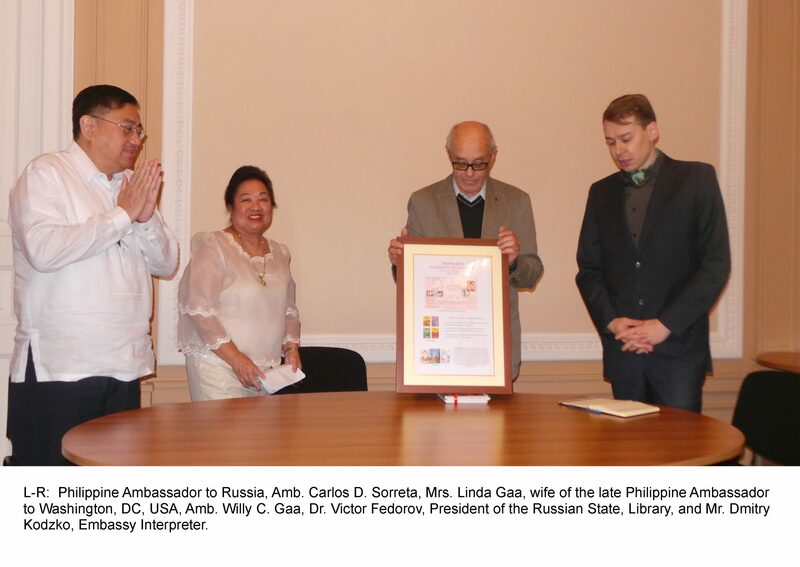 Fedorov expressed his gratitude for the donation of stamps and cookbooks that, according to Ambassador Sorreta, contain the best recipes of the Filipino people, transmitting the spirit and culture of the Philippines. Fedorov regrets that the links between Philippine and Russian libraries are not too large and urged everyone to seek more opportunities for cooperation that will benefit the readers of both countries. Cooperation and Development (CESIR) CEO Ms. Olga Biryukova; 7D Mango distributor in Russia and the Commonwealth of Independent States Mr. Alex Makhalov; and MYNEWFOOD Company CEO Ms. Elena Kolbasova, to partake in the food tasting. Mama Sita’s is a legacy that spans five generations of fine Filipino Cuisine. Its products are acclaimed worldwide for its select Filipino ingredients and celebration of time-honoured family recipes. Issued on behalf of Mama Sita Foundation by Ysmael Moyer Valenzuela & Associates, Inc.